Today’s guest is Chris Fritton, the Itinerant Printer. 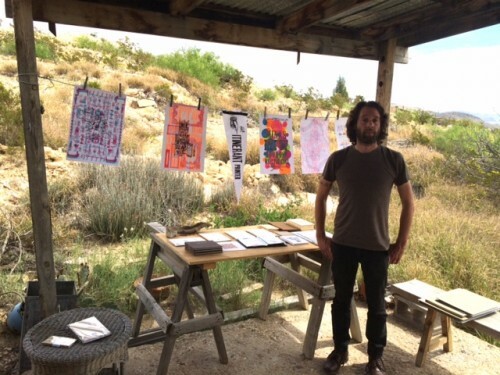 He talks to Marfa Public Radio on-location at Menagerie Press in Terlingua ahead of his open house and presentation at the print shop on Tuesday, April 7th from 4-8PM. Fritton’s Itinerant Printer project, which consists of a year-long nationwide tour of over 100 print shops, follows a forgotten tradition of “tramp printers.” In each city he visits, Chris takes up work in a new print shop. He then develops unique prints that are distributed as postcards to supporters and followers. This entry was posted in and tagged Chris Fritton, Printing, The Itinerant Printer. Bookmark the permalink.